Romance is the ultimate signifying factor in every wedding. The beauty of the bridal wedding dress can be heightened with the use of simple romantic elements. Designers all over the world have significantly popularized lace as one of the finest elements in fabric detailing which can create a beautiful effect for most dresses. Lace wedding dresses are forever in demand. Yet, a bride might have a hard time finding the perfect lace dress for her wedding, amongst the many styles and designs in the market, if she is not clear about what suits her and what exactly should she looking for. 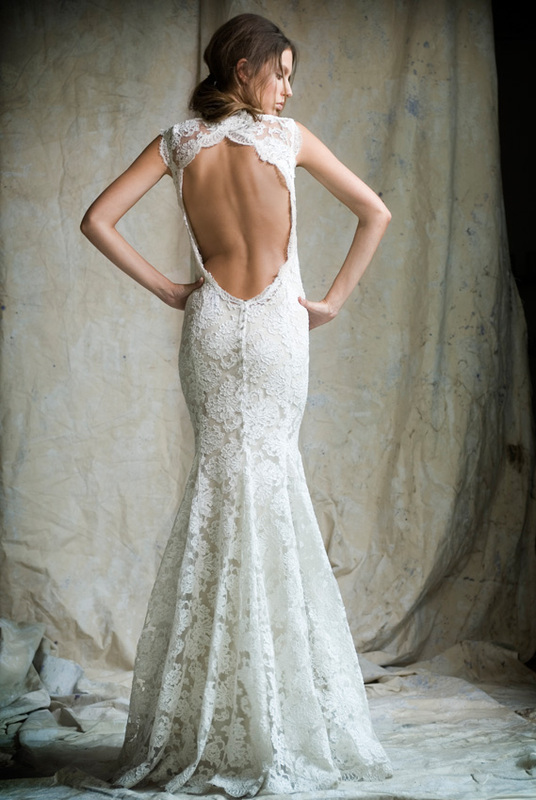 Of the many reasons that you should choose a lace wedding dress, here are a few that really stand out from the crowd. The lace style is timeless. It has been used by generations of women right from the Edwardian era to the current century. The detailing is a classic look that goes with most sophisticated bridal designs. You can find many ways in which the contemporary designers have been using the fabric to bring alive designs which otherwise might be too straight-laced or unembellished. The romance of the Victorian era is alive with the touch of the lace to your wedding dresses 2013. Many designers have been using the fabric to create a nostalgic semblance to various favorite designs. You can actually choose dress designs that closely resemble royal bridal designs from various eras. The romance of the royal weddings can very much be a part of your wedding, if with nothing else, than just a touch of a whimsical design. The dresses of the contemporary fashion world have a very androgynous look and feel to them. Most dresses now have unsymmetrical hemlines, or various modern fashion traits that can take away from the basic charm of your wedding day. Now, you can always keep with the modern design times but it is a special day when you are in a way celebrating your femininity. Keeping this in mind, a lace detailing can be the softer touch that can translate even the staunchest of dress designs to feminine beauty. Vintage charm is never lost, especially on people who know the value of the "something old" on their wedding day. Many dress designers can help you with this element. Just look for specialist designers who specifically work with the restoration of old bridal dresses. You can very well incorporate their help to restore the bridal dress that might be in your family since generations. If you have a particular design in mind, which has a vintage appeal but you do no t own the dress, you can commission a close replica of the dress from the designer. Lace has been quite a favored detail of old world- dresses, so the chances are huge that adding this simple detail can make your dress more authentic to the time you want.